I can say for sure there's probably not many of you that haven't heard of 'Metal Slug', a game in a series of games that are well known in the gaming community, going back to the days of the Neo Geo system. This game has plenty of humour, while remaining action packed throughout. Collect weapons and health from hostages, use vehicles and shoot the best guns at a constant wave of enemies including big bad bosses. 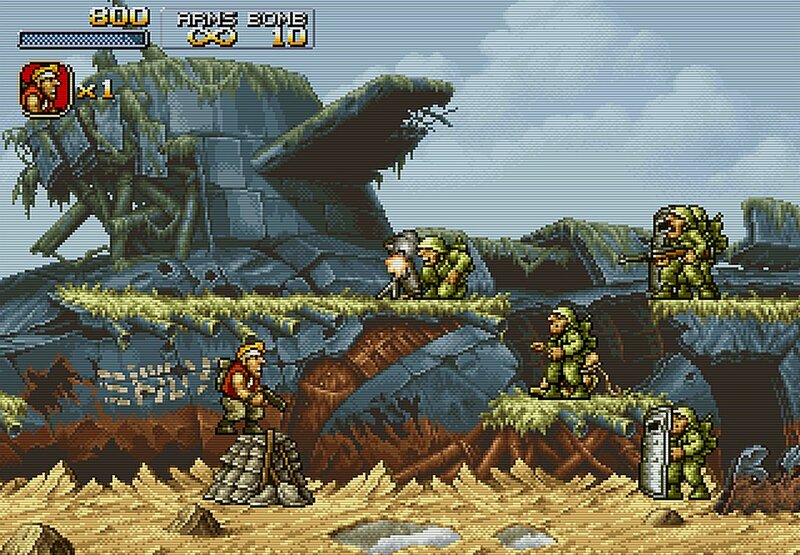 In fact it was so much fun and still is, that a fan by the name of Clement Corde released a small tribute to the game as 'Mini Metal Slug' for a number of systems such as the Amiga OS4 in 2012. Which this week has been ported by Arti / ArtiGames for the Amiga 68k. According to the site write up, Mini Slug is a game composed of 3 Missions (each mission divided into a number of levels). The first mission is similar to the series, then it forks and offers some refreshing gameplay. The downside is the YM music player has been completely removed due to slowness on 68k, with Music files and sfx used instead. Also in regards to requirements, it does require at least a 040+ CPU and 8MB ram. Although Vampire users shouldn't have any issues!